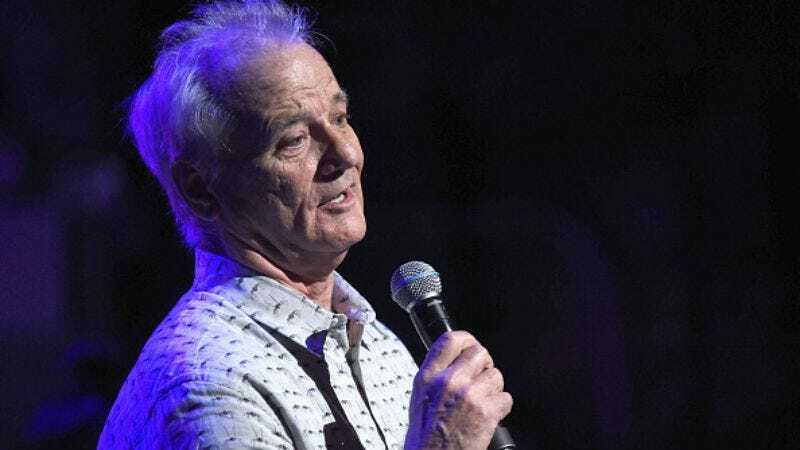 Bill Murray appeared to go off on another one of his larks when he teamed up with The Late Show’s Paul Shaffer on a cheerful new tune that will be out for Record Store Day. But his foray into the music business just got a little more serious, as The New York Times dropped in on a recording session for Murray’s own upcoming album. The record, New Worlds, is a collaborative effort; Murray will sing and do literary readings over instrumentals from a chamber music trio that includes his wife, violinist Mira Wang. Musical selections include some George Gershwin, Stephen Foster, and songs from West Side Story, while the readings will come from works by Walt Whitman and Ernest Hemingway. Murray’s been batting around the idea of the group with cellist Jan Vogler, who leads the trio his wife is in, since 2013, so his musical career won’t end with the release of New Worlds in August. The group, which is currently billed as Bill Murray, Jan Vogler & Friends, will tour North America later this year, including a performance at Carnegie Hall in October.